Having a spec home is crucial to helping make a vacant home have life and provide buyers with ideas, but you do not have to do a full blown model to give people the impressions they need to make you an offer. In fact, if a house is over decorated, sometimes it can make buyers apprehensive to buy because they may feel they will be “house poor” and the house will be too expensive to furnish. 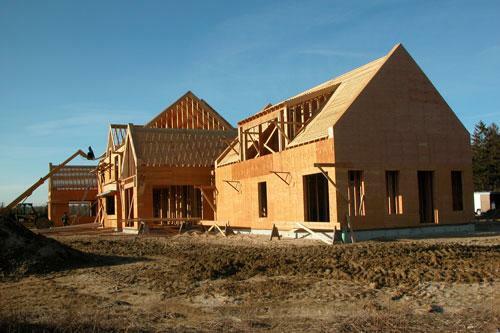 To help answer that question and address buyer concerns, Dragon Design, LLC offers different packages to builders.We can custom tailor a package to meet your budget. Dragon Design, LLC will purchase the furniture and accessories for your project. Fees are based on the time and vendor/quality of the furniture requested. Paint colors for the walls are included once we have a general color scheme in place from the selection of the furnishings. Dragon Design, LLC will bring in their team at the appropriate time to set-up the home and put the finishing touches on the project. Fees are based on the time needed to implement the plan. You can purchase the furniture for the project. Fees are based on the time and vendor/quality of the furniture requested. You can rent the accessories from Dragon Design, LLC on a monthly basis. This will provide you with flexibility of changing out accessories as the seasons, trends or projects change. Dragon Design, LLC will bring in their team at the appropriate time to set-up the home and put the finishing touches on the project. You can rent both the Furniture and Accessories on an “as needed” basis. Rental Fees are based on the number of rooms staged. We have 2 Creative Sales Packages available for you and your realty team, that we discuss with you, in person, once you have agreed to meet with Dragon Design, LLC. Builders that have implemented these strategies will tell you this sets us apart from other stagers. We keep these opportunities “close to the vest” to also enable you to stay competitive as well! References available upon request.